One of the ministries I am privileged to be a part of as the new Associate Pastor of First United Methodist Church is Greenhouse. Greenhouse is the Sunday morning contemporary worship service at First Church. In Greenhouse we sing praises to God, share in prayer and praise, and focus on how God can touch our lives today is we hear a relevant message from Holy Scripture. This Sunday I’ll preach my second Greenhouse service. In the coming months there are a lot of exciting things coming up for the Greenhouse service. First UMC is renovating Scott Hall, the church’s multipurpose fellowship space, to be the new home of the contemporary service. 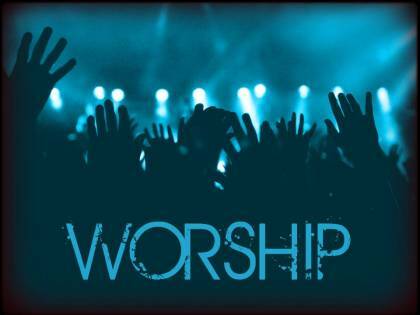 There will be a new stage for the praise band, new lighting, a new sound system, and new projection equipment. The location will give the service a new, fresh, and relaxed feel in a setting designed specifically for contemporary worship. In the coming months I’ll be sharing more with you about exciting things happening in contemporary worship at First. At this time Greenhouse is at 9:45 a.m. on Sunday mornings. Or if you are looking for a more traditional style of worship First Church also has an 8:30 a.m. and 11:00 a.m. traditional services as well. This entry was posted in Events at First United Methodist, Greenhouse, Worship and tagged Contemporary Worship, First United Methodist Church, Greenhouse, Worship on July 8, 2010 by Tim.